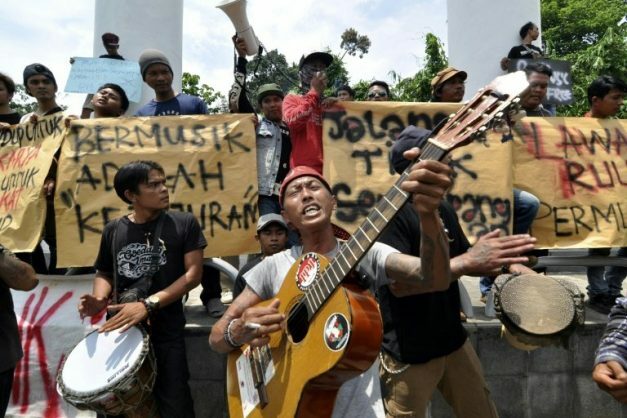 Under the proposed law, musicians would be prevented from ‘bringing negative influences from foreign cultures and/or degrading human dignity’ in Indonesia. Indonesian entertainers have rallied against a draft law that seeks to ban blasphemous and “pornographic” music content, which critics say could be used to clamp down on freedom of expression in the Muslim-majority nation. It is not clear why the bill suggests banning foreign influences and “pornographic” content — or what would be classified as pornographic content in music. Almost 90 percent of Indonesia’s more than 260 million people identify as Muslim but the vast majority practise a moderate form of the religion. Last year, a TV ad featuring members of K-pop supergroup Blackpink dressed in miniskirts was banned because the Indonesian Broadcasting Commission deemed it indecent.